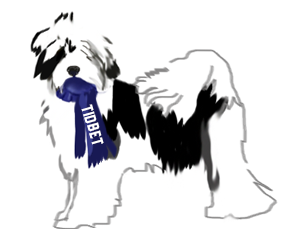 Welcome to the home of Tidbet Tibetan Terriers! We are returning to showdog.com after a long hiatus. Please visit our sister kennel Winover where we are breeding some TT's for colours and showing some other fun breeds. Special Thanks to Nachthunde, Flarora and Collegedale for getting me starting in the TT breed! By Nachthunde Chang out of Ch TidBet Luna. By Nachthunde Liu out of Ch TidBet Keepin Secrets. By Nachthunde Liu out of TidBet Fly by Night.